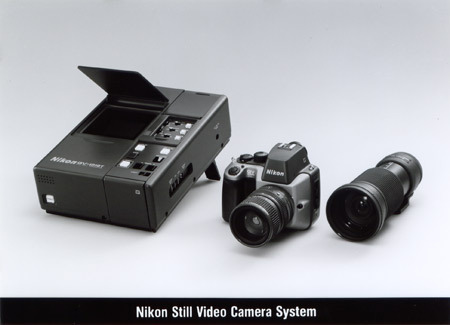 Nikon QV-1000C was Nikon’s first filmless camera, announced on August 26, 1988.. The QV-1000C is an analog black and white still video camera with a 380.000 pixel CCD sensor. Images are stored on a magnetic two inch video floppy disk. 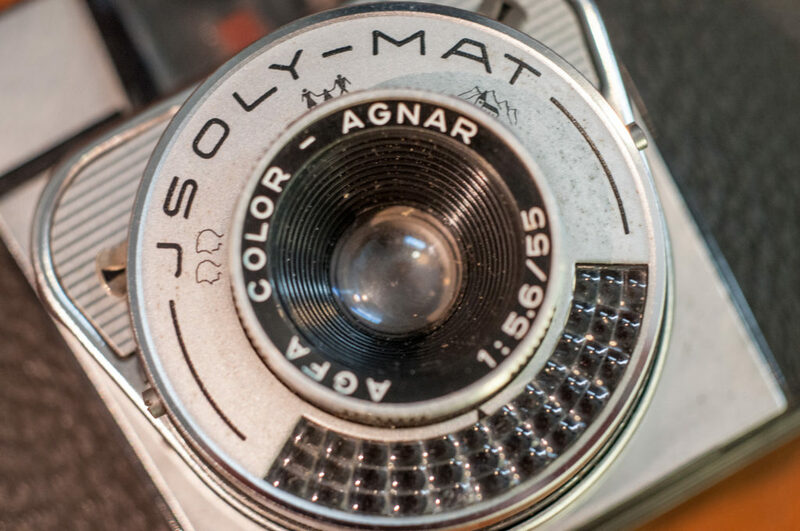 Technically, it’s not a digital camera. 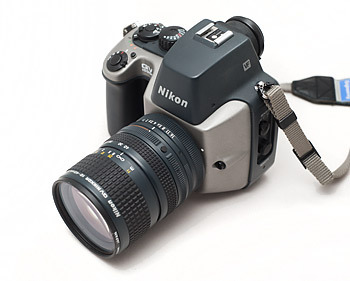 The camera was only sold as a complete kit, containing the QV-1000C camera body, two lenses (QV Nikkor 10-40mm f/1.4 and QV Nikkor 11-120mm f/2) and a QV-1010T transmitter unit. It originally sold for approx. DM 35,000, or more than 2 million yen. In 1991, the US list price was $20,300.